I recently helped a great family from Memphis, TN put together a 5 day itinerary for their family trip to DC in June. They have two boys, ages 10 and 7. 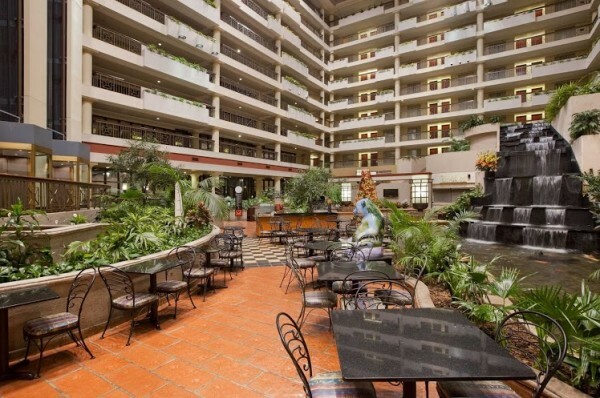 The family stayed at the Embassy Suites in Dupont Circle which is within walking distance of the metro and many family friendly restaurants. The schedule below allowed the family to see everything on their list and still gave the boys downtime back at the hotel pool each day. Metro – DC’s subway system. Uber – an app you can download that allows you to call a taxi or town car from your phone. No money is exchanged as it is all done online through your credit card. Plan a mid-morning arrival on Wednesday and after checking in to your hotel, walk a few blocks to Burger Tap and Shake (2200 Pennsylvania Avenue, NW on Washington Circle) for lunch. 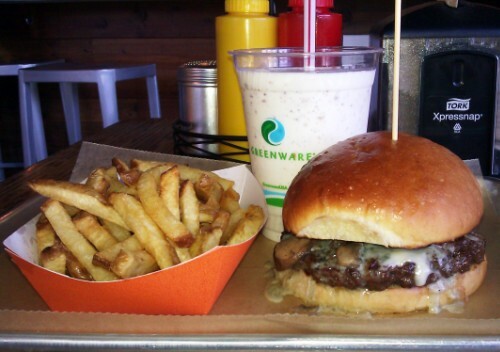 Their delicious burgers and shakes will fuel you through an afternoon of touring the monuments. The Spy Museum is a must see for most little boys. Be sure to visit the website and buy your timed tickets ahead of time to assure your spot in line. We bought the tickets for 4:00 pm which allowed plenty of time to see the monuments during the afternoon. The Spy Museum is located in bustling Penn Quarter. You will find lots of options here for dinner, but a few of our favorites are Austin Grill (750 E Street, NW) Rosa Mexicana (575 7th Street at F Street, NW) and Zaytina (701 9th Street, NW). These three restaurants are all located within walking distance of the Spy Museum. 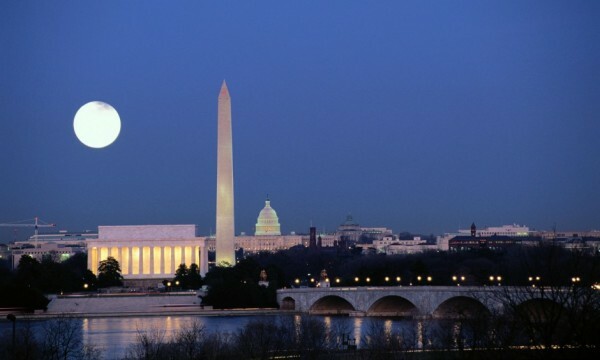 End your first evening in DC with a Twilight Tour of the Monuments. The bus leaves from Union Station and you can either take a taxi from Penn Quarter or metro from the Verizon Center to the Union Station metro stop (50 Massachusetts Avenue, NE). The evening tour runs from 7:30 pm – 10:00 pm on the Big Bus Open Top tour. You may buy tickets in advance on the webpage. 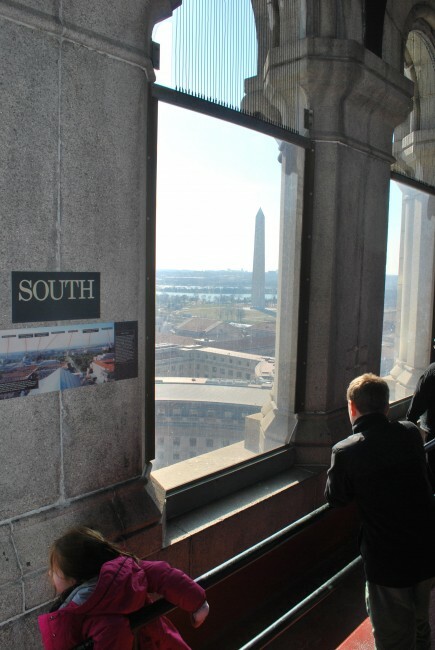 Begin your day with a morning tour of the Old Post Office Pavilion Bell Tower for an aerial view of the city (best option since the Washington Monument is currently closed for repair.) You can take a taxi to 12th and Pennsylvania Avenue, NW or metro to the Federal Triangle Metro Stop. The Bell Tower opens at 9:00 am and the tour of the bell tower is free. After getting a lay of the land from above it’s a short walk along 10th or 12th Street, NW to the National Mall and the Smithsonian Museums. 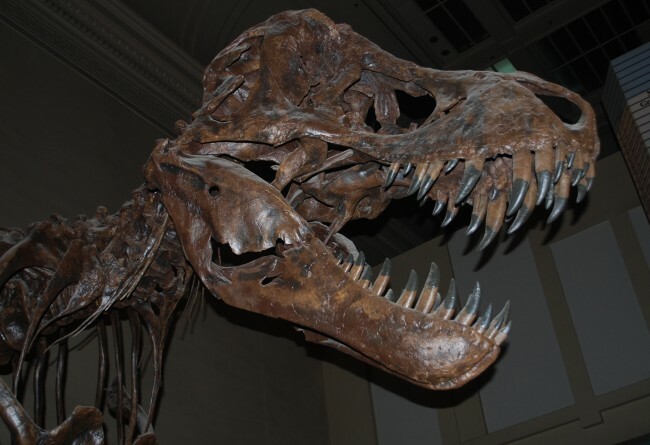 The museums are free and the boys will love the Natural History Museum and the Air and Space Museum. This is where you will find the dinosaurs and The Hope Diamond. The museum is also home to a life size whale and elephant and lots of IMAX movies. If there is an IMAX movie you want to see it is best to buy the tickets in advance on the museum webpage and plan your visit around the movie time. 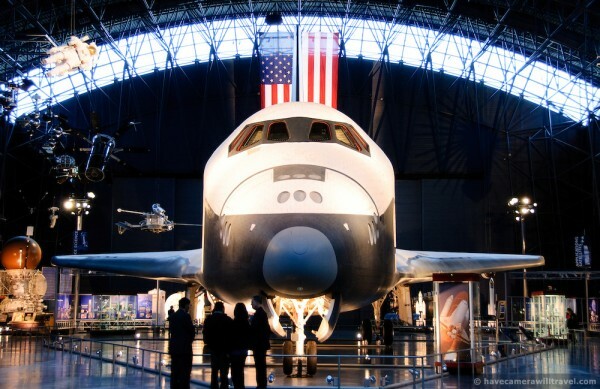 The Air and Space Museum has planes, rockets and the Apollo Lunar Module. 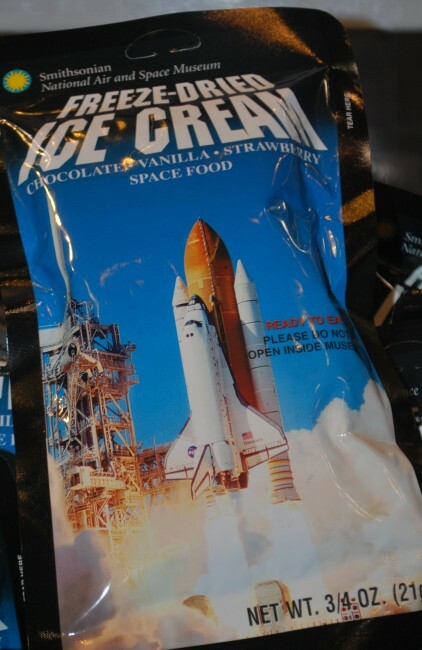 Don’t miss the flight simulators and the astronaut food in the gift shop. The same advice regarding the IMAX movies applies here as well. Plan ahead. Stop for a lunch break in one of the museums on the national mall. There is a cafeteria located in the Natural History Museum and a McDonald’s located in the Air and Space Museum. There is also a slightly more upscale cafe in the National Gallery of Art which features a different local chef each month. 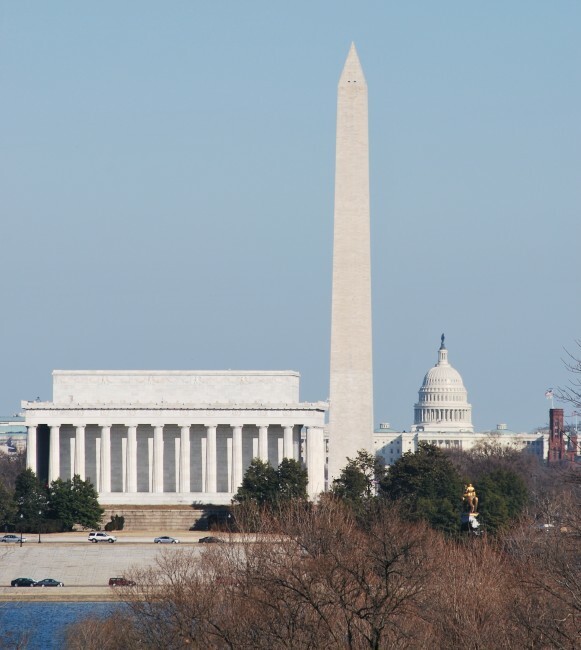 After lunch, spend the afternoon exploring Capitol Hill. It is a about a mile walk or a short taxi ride to the U.S. Capitol. 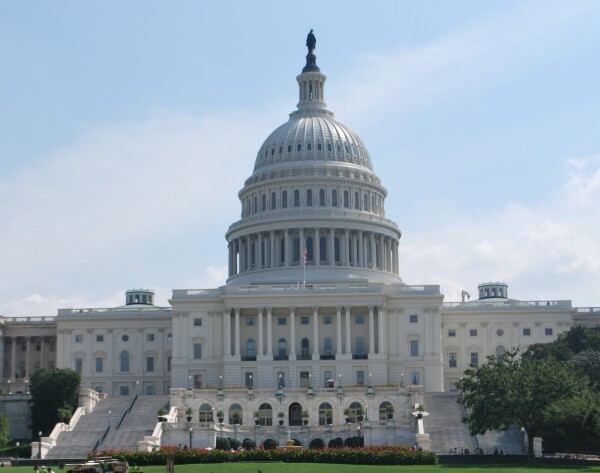 Tickets to tour the Capitol can be arranged through your member of congress. 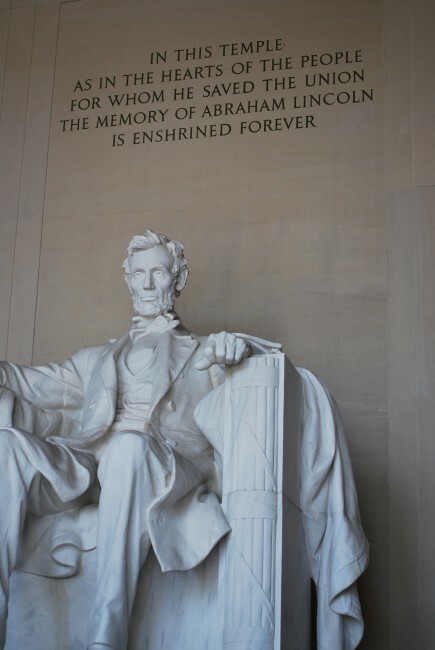 (Click here for more information) or you may reserve tickets through the U.S. Capitol website. It is advised to arrange tickets as early as you can (several months in advance is ideal) as tour times fill up quickly, especially in the summer. 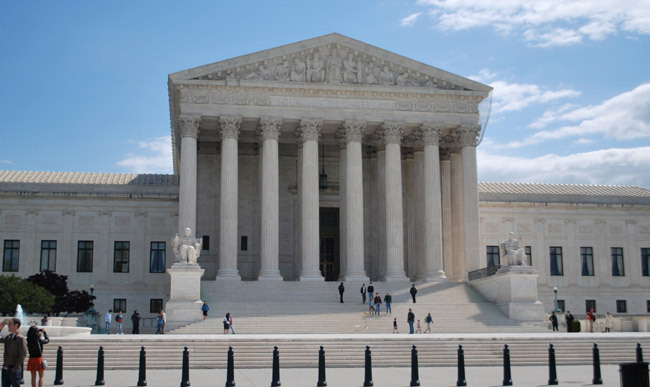 You should also take the time to tour the Supreme Court, which is located across 1st Street from the Capitol. There is a 30 minute lecture every hour on the half hour with the last lecture at 3:30 pm. You will also be able to view the Supreme Court chambers. Dinner that night is at the famous Old Ebbitt Grill. 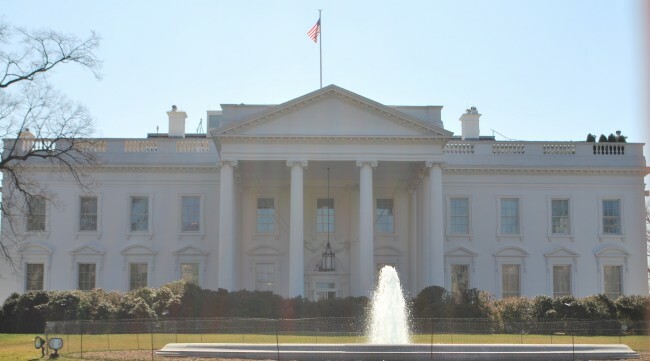 Be sure to call ahead to make a reservation as it is a popular spot with government officials (the White House is just across the street), locals and tourists. From Capitol Hill take a taxi to 675 15th Street, NW or metro from the Capitol South Metro Stop (on the same side of Capitol Hill as the House of Representatives Office Buildings) to the Metro Center metro stop. After dinner walk across the street for a photo op outside the White House. The White House is currently closed for tours so this will be the closest you can get. You can then taxi back to the hotel or metro from Metro Center to Foggy Bottom and call it a night! Start your day with a tour of the Bureau of Engraving and Printing and see where the nation’s money is made. Hop in a taxi to 14th Street, NW or metro to the Smithsonian Metro Stop (allow 15 minutes to walk to the BEP from the metro). Again, you can reserve tickets through your member of congress or get up super early and wait in line for the public tickets distributed each morning. Click here for more information. This is a great place to pick up souvenirs for the folks back home. Everyone loves a bag of money! Dinner Friday evening is back in DC. Take the metro to Yards Park for the Friday evening summer concert series. 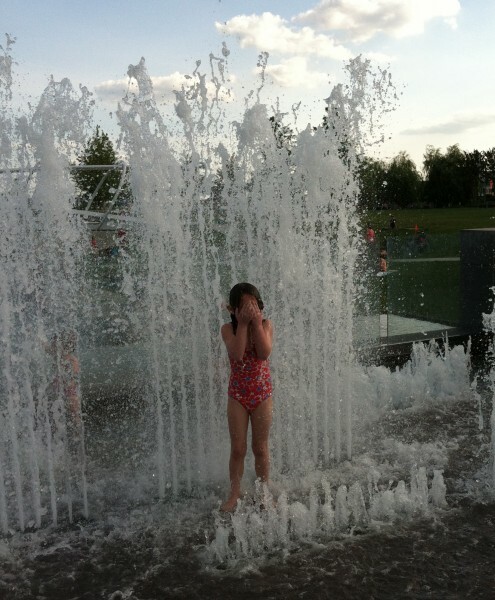 Not only is there music and food trucks, but pack the kids’ swimsuits because there are awesome fountains and a wadding pool too. As Yards Park is best to visit in the summer, you could also go into Georgetown for dinner – which is within walking distance or a short cab ride from the hotel. Restaurants to consider include Neyla, Peacock Cafe, Clyde’s or Old Glory BBQ. 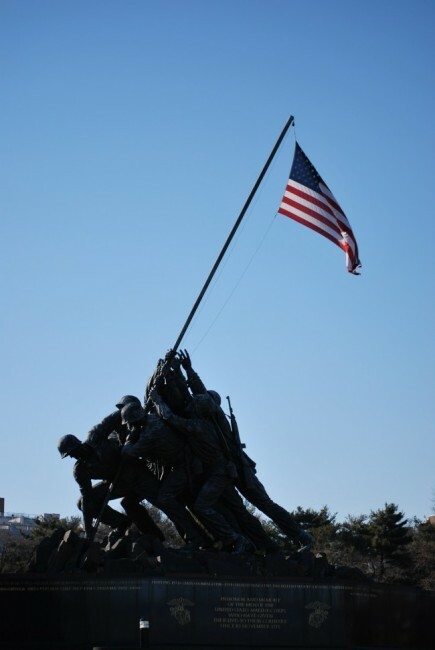 As if you hadn’t been feeling patriotic already, a morning visit to Arlington Cemetery and the Iwo Jima Memorial will make you proud to be an American. (1 Memorial Dr, Arlington, VA 22202) Both spots are a quick metro ride from the Foggy Bottom metro to the Arlington Cemetery metro stop. At Arlington Cemetery be sure to visit President Kennedy’s tomb and watch the changing of the guards at the Tomb of the Unknown Soldier. This ceremony takes place every hour on the hour. It’s just a short walk from Arlington Cemetery to the Iwo Jima Memorial and this is also the spot for great pictures of the DC skyline. 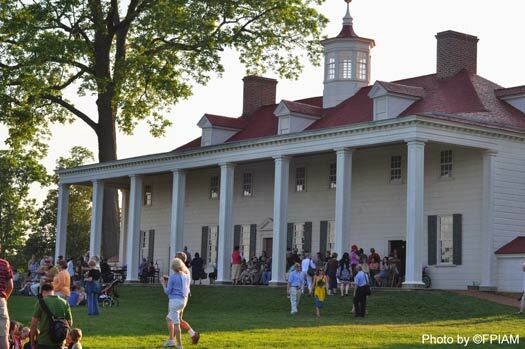 That afternoon hop in the car and step back in time with a trip to George Washington’s home, Mount Vernon. (3200 Mount Vernon Memorial Highway, Mount Vernon, VA) Again, if you don’t have a car a taxi will cost you approximately $40 each way. Check the website link above for various tour options or choose to wander the grounds on your own. There is a food court located on the property so you can have lunch while you tour. After regrouping back at the hotel, take a short walk to Founding Farmers or District Commons for a delicious meal. This area is always bustling as it is in the heart of downtown DC and George Washington University. (1924 Pennsylvania Avenue, NW) Both of these restaurants are a bit more upscale so collared shirts for your boys are advised. If you are looking for a more casual option there are several other restaurants in the area such as Chipotle. Start your last day at the Newseum (555 Pennsylvania Ave., N.W.) It is easy to metro and the closest metro stop is the National Archives stop. The museum opens at 9:00 am. As this is the history of real news, some of the exhibits will not be appropriate for all children so be aware, but they will love pretending to be a TV reporter and there is also a great photo op of the U.S. Capitol from the balcony. Are the Washington National’s in town? 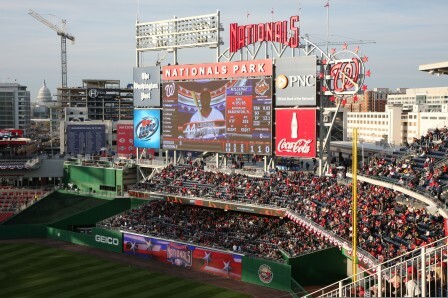 Check the schedule and if so head over to DC’s baseball stadium. It is best to metro to the Navy Yard which puts you out right at the stadium. I never miss a hot dog at a baseball game, but there are also lots of restaurant options around the stadium as well. If you have time, remember the kids may be able to run the bases after the game. Check the schedule for more details. And then it’s time to hop in the car or head to the airport and back home after a memorable family trip to the nation’s capital!